THURSDAY, June 19, 2014 (HealthDay News) -- A short session of hypnosis might lead to a better night's sleep, says a team of Swiss researchers. After listening to a sleep-promoting audio tape containing hypnotic suggestion, women who are suggestible to hypnosis spent two-thirds less time awake, and about 80 percent more time in deep sleep compared to those who slept without the hypnotic suggestion. "There have been many reports that hypnosis can be a good thing for promoting sleep," said study co-author Bjorn Rasch, a professor with the department of psychology in the division of biopsychology and methods at the University of Fribourg in Switzerland. "However, usually they've been based on people just subjectively indicating how well they feel they've slept as a result," Rasch noted. The new study is the first to assess via measures of brain-wave activity "the positive impact hypnosis has on deep sleep and to show that it is, in fact, real," he said. At issue is the desire to boost so-called deep sleep, also known as slow-wave sleep. This type of sleep "often correlates with the most restorative sleep -- it's a time for your brain to process and rejuvenate from the challenges of the day," explained Dr. Kim Hutchison, assistant professor of neurology and sleep medicine at the Oregon Health and Science University in Portland. 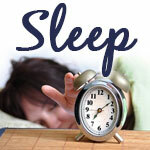 "Over the course of people's lives, with age, the amount of deep sleep drops off significantly. And by the time you're 50 or 60 you hardly have any, depending on the person," said Hutchison, who was not involved in the new research. "With age, non-refreshing sleep becomes a very common complaint, and one of the reasons can be not getting enough slow-wave sleep." To explore how hypnotic suggestion might help improve deep sleep, the Swiss team enlisted 70 healthy Swiss women aged 18 to 35. All participated in a series of five in-laboratory experiments, successively staged once a week for five weeks. None of the participants had any history of sleep trouble. None were taking any kind of sleep medication. Some of the women, however, were deemed (in pre-study testing) to be "highly suggestible" to hypnosis, while others were categorized as "low suggestible" patients. For each experiment, the women were outfitted with electrodes to monitor brain-wave activity and sleep patterns. While lying in a bed with the lights off, the women were exposed to varying audio tapes of about 13 minutes in length. Some provided a hypnotic suggestion to sleep deeper, while others were designed to be neutral in content. The women were allowed to fall asleep during or after the audio feeds, and all were woken up after they had spent a total of 90 minutes napping. Hypnosis did not improve sleep in those deemed low-suggestible to hypnosis, the study found. However, women in the highly suggestible group slept 67 percent more and saw their "deep sleep" time rise by roughly 80 percent following exposure to audio hypnosis. Other phases of sleep did not appear to be affected by hypnotic suggestion. However, the team further observed that slow-wave activity during the deep sleep phase was "significantly enhanced" following hypnosis. This suggests that not only does hypnosis boost deep sleep quantity, it may also improve deep sleep quality. The team acknowledged that the study only included female participants. This was by design because men have a tendency to be less suggestible to hypnosis overall. However, men who are highly suggestible would probably derive similar sleep benefits from hypnosis, Rasch's team said. And given that roughly half the general population is believed to be moderately suggestible to hypnosis, the team concluded that hypnosis could ultimately prove to be a very useful -- and side-effect free -- way to help improve sleep. "I have to emphasize that we did not focus on sleep-disorder patients," said Rasch. "These were all healthy people. So while our findings are really promising, we do not yet have proof that hypnosis will help people who suffer from sleep disturbances. I would say it would. But it's not yet proven," he added. "Also, although the impact of hypnosis on suggestible people was really clear and, I would say, amazing, I do not think that hypnosis would ever completely replace the need for sleep medication for those who need it," Rasch said. "It could certainly reduce the need. But I don't expect miracles from hypnosis. It's a technique to consider. But in really strong cases of sleep disturbance a medical intervention might be necessary." Hutchison believes hypnosis can play a role in helping some people sleep better. "I have found hypnosis can be helpful, even for non-susceptible patients," she said. "Because it gives them something to focus on, and helps them to relax and quiet their mind before sleeping." Hutchison added that "there's anecdotal evidence that the relaxation achieved can help improve sleep quality. In fact, I have been recommending sleep hypnosis phone apps for about the past five years." Findings from the study were published this month in the journal Sleep.